Sorry, we are currently sold out of 'Bronze IRS Bushes 1964-1974 E-Type'. Please check back later. 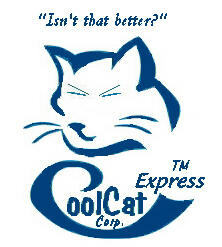 Introducing CoolCattm Bronze IRS bushings. The stock control arm bearings in the Jaguar rear suspension are roller bearings. But since the control arm moves in a very limited arc, the bearings tend to wear an irregular surface on the races. This wear can't be compensated with shims, and will cause erratic motion of the control arm. Our bronze bushes correct this problem by providing a larger bearing surface area. The bushes will also wear more evenly than the stock bearings, so there will be no binding as they age. CoolCattm bushings are made from Bronze 932 (SAE 660) bearing stock, for hard wear and long life. They start life as cored bronze billets. We cut this stock slightly larger than the finished size, then machine the faces to assure parallelism and smoothness. 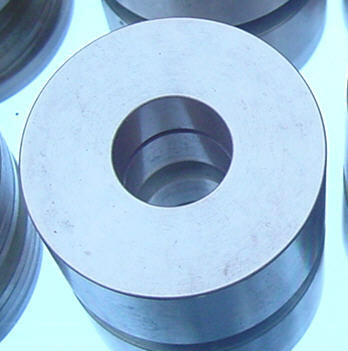 The outside diameters are precision machined for an interference fit. 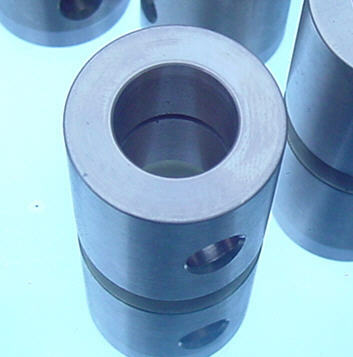 Grooves are machined in both inner and outer bushings to distribute grease evenly. Installation of CoolCattm Bronze Bushes is much simpler than stock bearings. Simply press the inner and outer bushings into place. The one-piece bushes replace the stock bearings, crush tubes, and internal shims. The holes in the outer bushings must be aligned with the grease fitting in the control arm: they are slightly oversized to make this easy to accomplish. The thrust washers fit to the outer bushings in place of the stock Jaguar washers. That's all there is to it. But one warning: press fit bushings shouldn't be installed by hammering, which can distort the bushing. If you don't have access to a press, you can improvise using a long bolt and a few large washers or a C-clamp, but don't resort to a hammer! We recommend greasing these bushes at 3000 mile intervals.